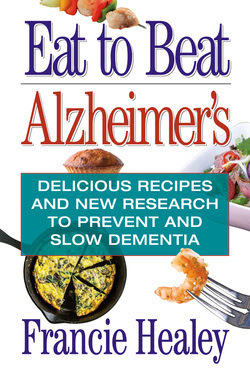 Eat to Beat Alzheimer's: Delicious Recipes and New Research to Prevent and Slow Dementia by Francie Healey is available at Amazon, Barnes & Noble, and IndieBound. To win a copy of Eat to Beat Alzheimer's please enter using the Rafflecopter form at the bottom of this post. The giveaway contest closes Sunday, July 17th at 11:59 PM EST. We will announce the winner the next day in the Rafflecopter widget. Good luck! WOW: Good morning, Francie! I’m so excited you are here. Let’s start at the beginning. When did you get passionate about food and health? Was there a particular moment when you knew this was your calling? Tell us more about where it all began. Francie: My sixth grade teacher told me how hot dogs were processed and that got me thinking about what’s in food. I was eleven-years-old and I started to really think about how food was put together and how it was prepared. But when I started to get really passionate was when I was in high school, running track and field, and I became interested in fueling my body and staying strong. I was curious about food and how it made my body feel. In college, I started to explore more deeply a different contrast with food. I was curious about the fat-free foods and fat-free craze, trying it and understanding it – I was misguided about what an “ideal weight” was, so I bought into the message that as an athlete I needed simple carbohydrates for fuel (spaghetti dinners), and that eating fat made you fat. I was studying exercise science in college, so I was definitely interested, but the information back then was misguided. I didn’t have the right information, nobody did, and it seemed that no matter what I did, I felt bad; and then I got injured and couldn’t run anymore competitively. I read Diet for a New America by John Robbins, and became a vegetarian after that because I was appalled at how the animals were being treated. This was more about ethics than quality of food, but it led me more into nutritional research. I started to get a bit more confused in my research and eventually learned by listening to my body that being a vegetarian wasn’t a good fit for me. So I continued my research to find what works for me, because I wanted to feel better. I had bought into this, beyond my sports nutrition background, by reading Ann Louise Gittleman’s books Your Body Knows Best, Living Beauty Detox Program and Why Am I Always So Tired? that highlighted in part the negative effects of copper imbalance from excessive soy in the vegetarian diet, which made me realize that we can think we are doing something really healthy, and have the best of intentions, but unknowingly make ourselves really sick, which is what I did. I was also reading a lot of books by Andrew Weil, who is one of the pioneers in the holistic health and integrative medicine fields, so his work started to integrate my experience more deeply and the other research I was doing. I started to ask more questions and stopped being a vegetarian; however, the meat I eat and the way the animals are treated are still important to me. I buy my meat really consciously and look for the balance, always, because for my health I need the nutrients meat has to offer and I can’t deny that anymore. So, my personal experience with health and wellness really motivated me to research and learn and eventually this passion extended in such a way that I wanted to share what I was learning with others, which is when I went back to school to pursue more training and education in the field of health counseling. As a mental health counselor I saw so many examples too of people suffering unnecessarily because of their poor diets, so I felt this was a critical component to mental health as well as physical health – that they cannot really be separated. WOW: As a mom, I can really appreciate what you teach about mental and physical health. I tell my older children “garbage in, garbage out” when they want to eat processed foods. You can’t go wrong with fruits and vegetables when it comes to learning! Good eating equates to good learning. I hope I’m teaching our family some good cooking and healthy lessons. Was it your mom, or who was most instrumental in teaching you about cooking and health? Were they involved in Eat to Beat Alzheimer’s? Francie: The health interests were always there for me, but the cooking part became much more important to me when my first daughter was born. Prior to that I had always been around people who loved to cook. When I became a mother, I became deeply invested in how to cultivate eating and wellness for a family and for my children. It was infant nutrition and children’s health that inspired me to take risks in the kitchen and put my knowledge into practice every day. It was also what led me to step into my role more as a wellness expert, as an advocate for children’s nutrition. Embracing that role then planted the seed for me to even consider writing my own cookbook one day. WOW: This mom thing has so many perks, doesn’t it? These little people make us better in so many ways! You have so many recipes on your blog. I’ve been enjoying them but have to ask: how do you keep everything organized? What is your system at home? Do you have a recipe box, book, etc.? Francie: I keep the recipes I like in my Dropbox, and I also love to hold a cookbook in my hands, so I have my favorite cookbooks, like Nourishing Traditions. Otherwise, I keep them organized on my computer. I also adapt recipes a lot, so for example if I’m not sure how to cook something I look in my book, How to Cook Everything, and then adapt it for my family’s needs. Dropbox allows me to share recipes really easily too, since people ask for them so much, it’s easy for me to send to them. WOW: Technology sure makes our lives easier – remember those old index cards stained with oil and finger prints? Our great grandmothers would be jealous of your system! Tell me more about being true to yourself. Can you give us a glimpse into how this plays a role in your health and cooking? Francie: To me, this is about tuning into your body and listening. Being true to yourself is about cultivating deep listening and deep presence with our bodies so we have the skill to identify what foods nourish us, and what foods deplete. This requires being invested enough in our own wellbeing to be curious about the answer. Most people are getting feedback from their bodies all the time about what nourishes or what depletes. When we are being true to ourselves we are open, curious, and willing to hear this feedback. Too often, we override our own feedback information because we don’t want to change for whatever reason. Being willing to be in the discomfort of knowing what changes we need to make, and how that may affect others in our community, does require courage. In my opinion, this is the “conscious” part of conscious wellness that we all get to learn and continually develop. WOW: Oh yes – I’m a resistance to change type myself. You give such great advice – thank you! What makes you passionate about dementia/Alzheimer’s and how would you encourage others who want to get involved in finding a cure? Francie: Originally, I thought about Alzheimer’s disease (AD) as a topic to explore from a very meaningful conversation with my stepfather. What I found was that the component of dementia that is about brain health was completely aligned with the nutritional science I had been investigating, and the whole premise of Eat to Beat Alzheimer’s is about prevention and living a high quality of life so as not to go down the path of chronic illness and disease, which does apply to AD but also to many, many other ailments that people are currently facing and worried about. So AD, is a focus, but it is also a way in to what Conscious Wellness really is about, which is choosing your own health by listening and making positive informed choices for your own body and state of mind. WOW: I love your openness about how things began versus what you found and moved forward. Thank you for being so honest. Francie: I’m currently working on my next book, which is going to be a deeper dive into how the food we eat really does affect our moods. This is going to be really informative and helpful read for anyone who wants to address issues like fatigue, brain fog, depression, anxiety, and unpredictable mood swings with diet and lifestyle. I am also launching an online course for folks interested in making these changes within the context of a class with me. They will have access to some of the information and research that will be foundational for the book. Participants will also get weekly exercises and step-by-step guide to a protocol for addressing mood challenges with food and lifestyle. It’s going to be really powerful class. WOW: This sounds fabulous – please keep us in the loop as our readers will undoubtedly be interested in learning more! Speaking of sharing with us – is there a particular recipe you are known for? Something friends always ask you to bring to a picnic or gathering? 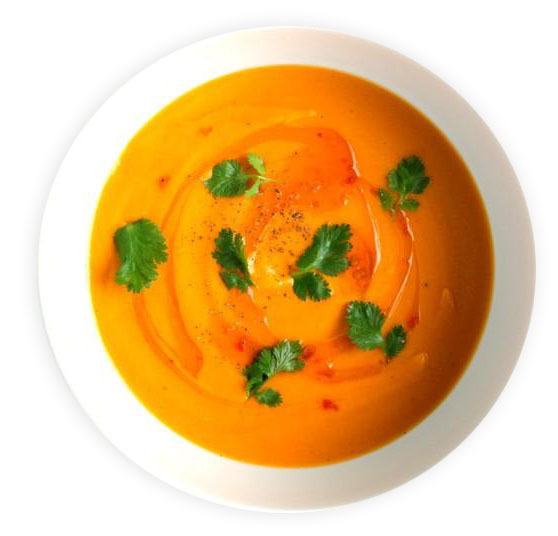 Francie: I actually get a lot of requests for my Coconut Carrot soup, which is a recipe in Eat to Beat Alzheimer’s, actually. I make it every Thanksgiving. Very happy to share it! Coconut is quite nutritious; it contains lauric acid, which is found in mother's milk and has been shown to strengthen the immune system. Coconut oil is a healthy fat, which has been shown to have numerous beneficial effects on the aging brain. Coconut oil is made of medium chain fatty acids, and there is strong evidence that it improves cognitive functioning in older adults with memory disorders. Sweet potatoes are a good source of vitamins A and C and antioxidants. I add ginger to support digestion. I have found that adding lime juice greatly enhances the flavor. In medium-size pot, heat oil and 2 tablespoons broth over medium heat. Add shallot and sauté about 5 minutes. Add ginger, sauté another 2 minutes. Add curry powder and mix well. Blend in batches, making sure blender is not more than half full. Return to soup pot and reheat. Serve in bowls, garnished with cilantro and fresh-squeezed lime juice to taste. WOW: That sounds delicious! Thank you again, Francie. You are absolutely a joy to work with and I have enjoyed every moment of preparation for what is sure to be an amazing cookbook blog tour! Join Francie Healey as she writes on the topic of "Why Healthy Eating Matters to Me" and visits the blog of fellow author Madeline Sharples to talk about her latest creation, a cookbook entitled: Eat to Beat Alzheimer's. Join Vicki Brinius as she reviews Eat to Beat Alzheimer's. Readers will also have a chance to enter a giveaway for their own copy of this great cookbook. Lisa Haselton hosts Francie Healey and her cookbook, Eat to Beat Alzheimer's, as Francie shares a blog post explaining why she published this cookbook. Don't miss this exciting blog stop and giveaway! Renee Roberson reviews Eat to Beat Alzheimer's - don't miss this exciting blog stop and opportunity to learn more about Francie as she shares her knowledge in this great publication. Nichole Smith at Chaos in the Country hosts today's blog tour stop for Francie Healey's Eat to Beat Alzheimer's. Don't miss Healey's gust blog post about "Releasing Personal Obstacles." Gina Hott at Hott Books hosts Francie Healey - readers can find out more about Healey's cookbook titled Eat to Beat Alzheimer's and read as Healey shares in a moving blogpost "Why Alzheimer's and Dementia?" Francie Healey visits The Road to a Dream and shares with readers of Ava Louise's blog. Learn more about Healey's cookbook, Eat to Beat Alzheimer's as well as enjoying some insight in her guest post "Social Media for Authors." Join Francie Healey and learn more about her cookbook, Eat to Beat Alzheimer's as she stops to visit with Kathleen Pooler's readers at Memoir Writer's Journey. Healey pens today's guest post "From Concept to Publication" and Pooler offers her thoughts as she reviews Healey's cookbook. Don't miss this blog stop! Linda Appleman Shapiro hosts fellow author Francie Healey as Healey writes today's guest post titled "How I Knew it was Publishing Time." Don't miss this blog stop and opportunity to learn more about these amazing authors and Healey’s recently published cookbook Eat to Beat Alzheimer’s. Learn more about Eat to Beat Alzheimer’s by Francie Healey and check out today's guest post by her as well - guest post titled "Energizing Baby Boomers." You won't want to miss this stop! Read Francie Healey's post "Feeding the Brain" and find out more about her recently published cookbook Eat to Beat Alzheimer's. 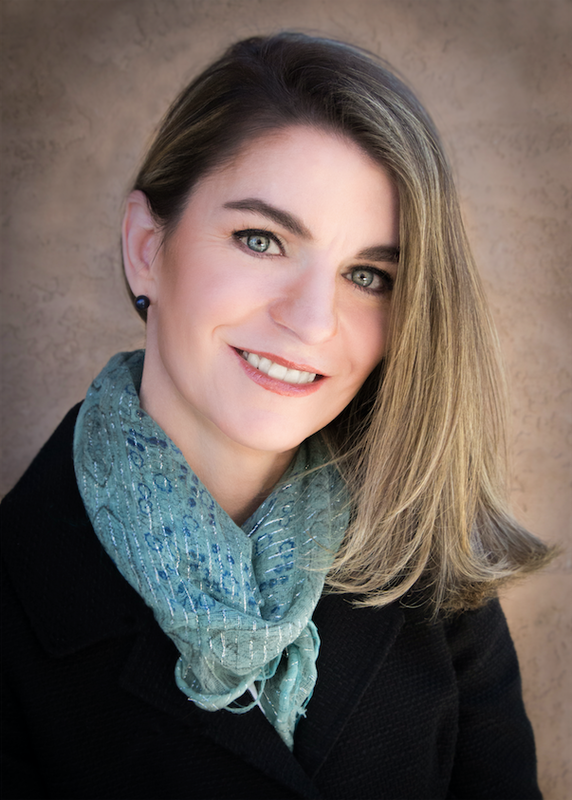 Join Mary McCarthy as she welcomes Francie Healey at the Create Write Now blog today. Healey pens today's guest post titled "Connecting with Readers." Find out more about Francie Healey and her new cook book Eat to Beat Alzheimer's. Francie Healey pens today's guest post "How to Eat Clean in Today's Busy World" as she visits the blog of Lisa M Buske. Don't miss this post and opportunity to learn more about Healey's cookbook Eat to Beat Alzheimer's. Stop by Cathy Stucker's Selling Books blog for a fascinating interview with Francie Healey, author of Eat to Beat Alzheimer's. Find out more about Francie's book, her writing rituals, her publishing journey and more! Join the lovely Linda Peters as she reviews Eat to Beat Alzheimer's by Francie Healey. You'll love Linda's blog and readers will be delighted to learn what she thinks about this highly acclaimed cook book! Beverley A Baird reviews Francie Healey's cookbook, Eat to Beat Alzheimer's - check out Beverley's blog and her thoughts on this excellent new publication! Enter to win a copy of Eat to Beat Alzheimer’s by Francie Healey! Just fill out the Rafflecopter form below. We will announce the winner in the Rafflecopter widget next Monday, July 18th! create more harm than good. Fast food to the body is like the coal burning industry to the environment. It has short term effectiveness, but in the long run, it "pollutes" the body with toxins and creates unhealthy side effects. I am interested in seeing more of the recipes in this book and trying them out in my house. Visit my website, www.franciehealey.com for more recipes and if you want to follow me on Facebook I often post recipes on my page, Conscious Wellness. I'd love to hear how you like the recipes! This is such an excellent wellness tool - thank you Francie! Hello Crystal/Francie! This is a lovely collaboration so thank you both for it. Is there any ingredient/concoction that you would recommend to minimize early morning awakening and prolong sleep. I know a couple of folks who have trouble with the same and depression isn't the underlying cause. It's a case of sleep-maintenance insomnia. Thanks again! Neha Kaul - what a great question. There are quite a number of possible root causes to waking up too early in the morning. It can help to address hormone balance and adrenal support with a practitioner and with diet I'd recommend number one to do what you can to balance blood sugar which will help stabilize your overall system. That means, eating regular meals, snacks even if needed, each meal/snack containing protein source, good fat, and fiber. Let go of sugar and caffeine and move in this direction. Best of luck! Great interview, ladies! Francie, you shared some really great resources in this interview, and I can't wait to check out your book. I firmly believe that diet (and exercise) is the key to wellness. I just came from my dermatologist who is big on diet for skincare, and I've been experimenting with cutting out night shade vegetables, avoiding processed foods, eating anti-inflammatory vegetables and spices, taking E.P.O. and probiotics, etc to help with my rosacea, and it seems to be working. :) I also heard that exercise plays a big role in reducing the risk of Alzheimer's. Good luck on your tour! Angela that is such great news, I'm so glad to hear you are seeing results! Nightshades can be a particular trigger for many people and they are not often discussed. Sounds like you are on the right track! What liquids are best to impede dementia? My dad has dementia and I would love to read up on this! To learn some different ways to help with him! My husbands father died of Dementia at a young age of 62. I never got to meet him. But I worry that my husband may get the same thing. Does it run n the family? This would be excellent to read. My grandpa has Alzheimer's and my whole family is really scared of getting it so diet could really give us all a piece of mind, not to mention helping to see more quality of life for him!